Thad was consecrated in Denver, Colorado by Archbishop Emmanuel Kolini, June 24, 2001. 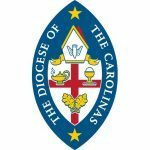 Thad currently serves both as Bishop in Residence at All Saints, Pawleys Island, SC, and as a Chaplain to Clergy. He has a passion for discipleship and through the ministry of “call2disciple”, Erilynne and Thad have given themselves to strengthening the Church in the Scriptures and discipling Christians to maturity in the faith. 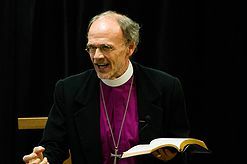 Thad has served churches in Connecticut, Pennsylvania and South Carolina and has been married to Erilynne for 36 years. They raised 4 girls and have 11 grandchildren.